I'm a collector. I have been all of my life. I remember as a little girl I would collect stickers. Then I collected coins from other countries, post cards, magnets, and coffee cups. My boys' grandma started me collecting Precious Moments about 15 yrs ago. She would get me one for various holidays and built up my collection. What I didn't realize was Precious Moments has a Collectors' Club! I was excited when they asked me to share about it for a review. One of the best parts of working in a partnership with Precious Moments is adding to my collection or being able to give their figurines as gifts. When I was looking at some of the exclusive figurines for members only, I saw that they had one I could donate to the SPCA where we've gotten all 3 of our fur babies. Let's chat first off about the features that come with joining the Precious Moments Collectors' Club. Did you even KNOW Precious Moments have Reward Points? Why, yes they do! If you're part of the Precious Moments Collectors' Club, for every $1 you spend, you get 3 points. On your birthday you get 200 points. You'll definitely have to see all of the other ways you can earn points. You can use those points toward your purchases. 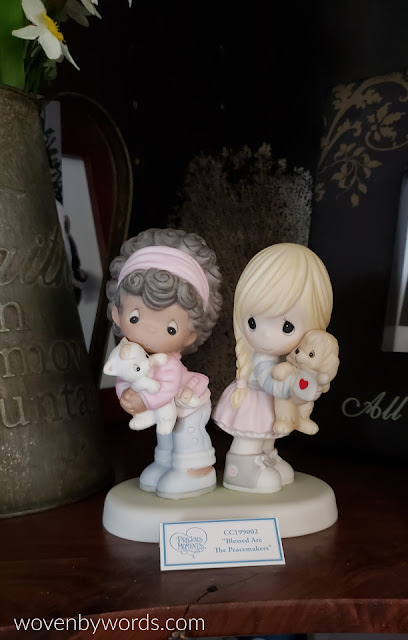 Now, let's talk about the 2019 Precious Moments Collectors' Club, Members Only Figurine "Blessed Are The Peacemakers". This figurine fits in perfectly with their Club theme for 2019 which is "Sharing Love, Peace, and Harmony With The World." These adorable little girls are holding a puppy and a kitten. This sweet figurine is made of bisque porcelain and expertly hand painted. I can tell you first hand that this is absolutely beautiful. it would make a perfect gift for a friend or to add to your own collection. You can see why it was so great to be able to give to our local SPCA. Thankfully, the timing was right on when I received the figurine for review. 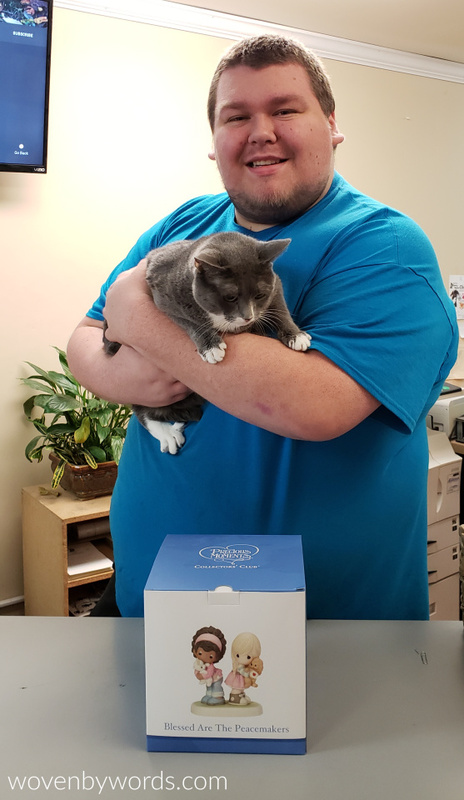 The SPCA was having their Vaccine Clinic and since they already had Willow's records (since we got her from them) I figured it was the best place to go. I killed two birds with one stone by bringing it with me as well. Since the SPCA relies heavily on donations, I knew something like this from Precious Moments would be such a great gift. They certainly seemed surprised that I was donating it to them. I tell you what, it certainly made my heart full! Now, go get yourself to Precious Moments and become a Collectors' Club member!